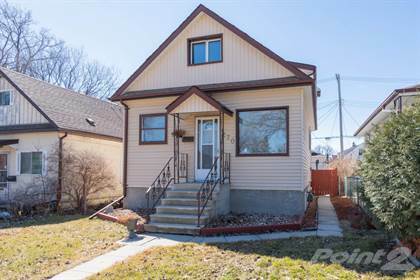 I am interested in 178 Whiteway Rd, Winnipeg, MB. 178 Whiteway Rd is a 800 square foot House for sale in Winnipeg, MB R2C4E4. It has 3 beds, 1 baths and was listed on Ovlix.com since April 15, 2019 by Goodfellow & Goodfellow & Lind Real Estate Ltd. for $249,900. Listing agent: Bob Goodfellow. The average price for similar 178 Whiteway Rd real estate listings - $195,726 which is 53% lower than $414,767 for Winnipeg, and 48% lower than $378,485 for Manitoba. Comparable nearby homes are: 40 Ainsdale Way, 357 Harold Ave E, 179 Thurlby Rd, 130 Carmen Ave, 503 185 Peguis St. What's near 178 Whiteway Rd, Winnipeg R2C: Springs Christian Academy, River East, École Regent Park School, Maison Gabrielle-Roy, Elmwood—Transcona, Saint Boniface, Winnipeg, Concordia Hospital, Collège Béliveau, Winnipeg, East Kildonan, Winnipeg.